Hello! Hope your week is off to an awesome start! We all survived Monday so at least we have that going for us! I spent last weekend helping my son and his little family paint their new house. I was so sore after a day of taping and painting that I could barely walk. I'm really feeling my age lately! I spent most of Sunday recovering from Friday and Saturday! 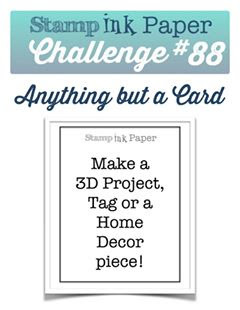 Well of course since it is Tuesday, it's time for another Stamp, Ink, Paper challenge! This week we have an Anything But a Card Challenge! 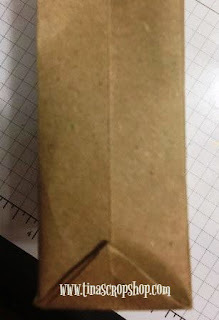 Luckily for me, I received my Lawn Fawn Preorder from the fabulous Stamp, Ink, Paper Store just in time for my projects! These adorable little treat bags are so easy to make from A2 Envelopes. 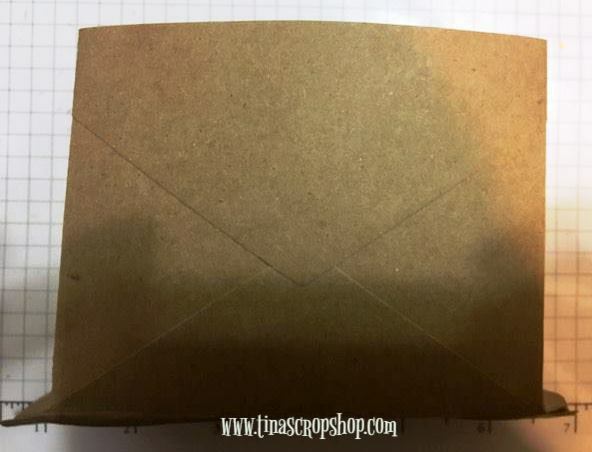 I used some generic Kraft A2 envelopes to make mine! 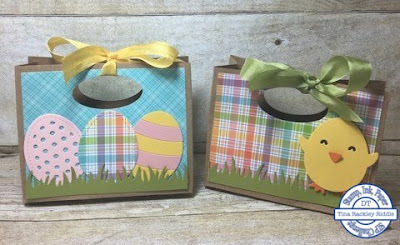 Here are the super easy steps to make them! 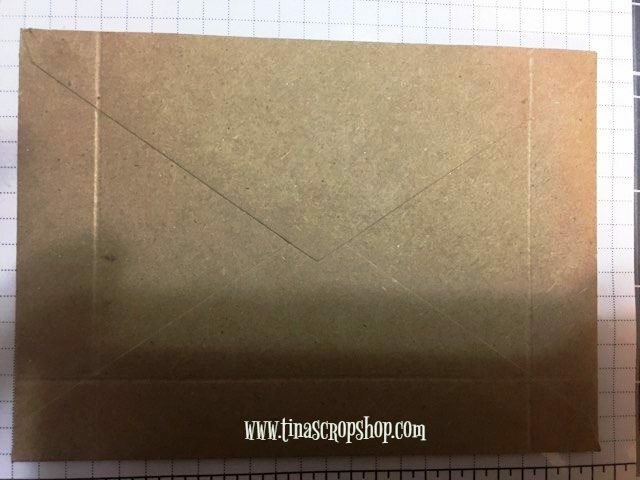 2) Cut a small slit across the top of the sealed envelope to make an opening. 3) Score the other three sides at 3/4"
5) Put your hand in the opening and push out the bottom and fold in the sides. That will leave a little triangle shaped flap on each side. 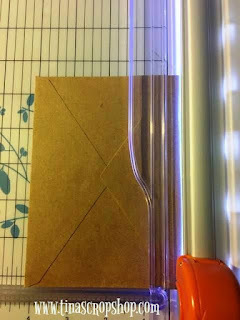 7) Cut 2 pieces of Patterned Paper 4 x 3" and adhere 1 to each side. 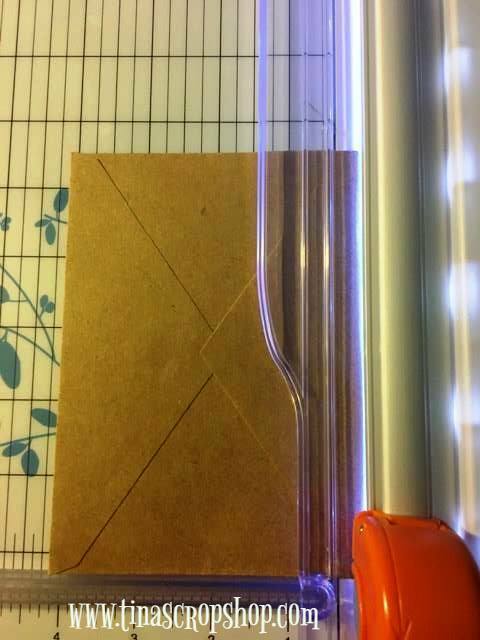 8) Use a small oval punch to punch through both sides at the same time. If you would rather use an oval die to cut your holes then you should cut before folding the envelope into a bag. 9) Last but not least decorate!!! I had a blast decorating these! How long a slit did you cut in your sealed envelope? I'm going to try this. Say a prayer that I do it right! TFS! Hi Gloria, you cut the slit all the way down the side to open up completely.. this will be the top of your treat bag.